The Genesis Mint city car is a design exercise scaled to dense urban environments where space is at a premium, but luxury is still appreciated, the upstart Korean brand says. The two-door EV concept, shown on Tuesday ahead of the New York auto show, is finished in matte green paint on the outside and cognac leather on the inside, resembling a minimalist love seat. With scissor-style openings for storage at the rear, the rakish runabout “offers ample space to stash temporary items that are essential for day-to-day life, with a focus on portability and accessibility,” Genesis said in a statement. As such, the Mint serves “as an accessory for the modern urban lifestyle,” the brand said. It also offers, theoretically, a high-density battery capable of 200 miles of range and zippy driving dynamics. Genesis said the Mint represents a global effort among its design studios in Europe, Asia and North America to imagine the brand’s signature styling on a smaller scale. 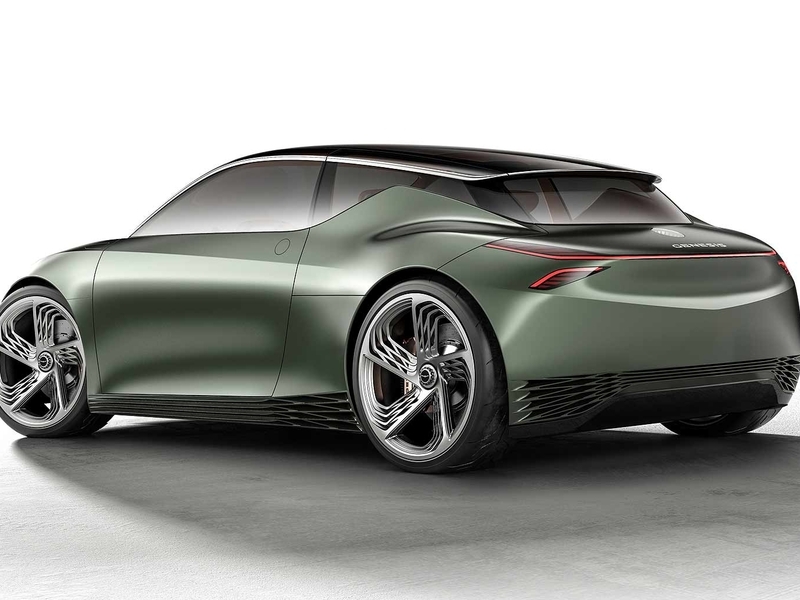 “The Mint concept disconnects the physical dimensions of the vehicle from its positioning as a premium product,” said Luc Donckerwolke, chief design officer of Hyundai Motor Group, in the statement. The Mint, for now, is just a design concept and Genesis did not offer any details on whether something like it could make it into production anytime soon.